• force protection capabilities, as they could be used to defeat eventual threats before troops arrive in the operational theatre. Depending on their technical details such as dimensions, platforms and payloads, they could perform several tactical missions: ISR/ISTAR and patrols; detection and eventual neutralisation of CBRN threats, mines, explosive devices; heavy weight carriage, even to the last tactical mile; small damage reparations, also under enemy fire; combat duties. In their smaller versions, UGVs can provide detailed situational awareness even in urban or mountainous environments by collecting information and capturing images of areas unreachable by other ISR assets. Although research on UGVs has been conducted for decades, their use, especially in the last tactical mile, is still affected by some technical problems. Amongst them, is the need to find a suitable payload distribution to stabilise the system (crucial for operations in mountainous terrains) and to implement resistance to potential attacks. The lack of protection from kinetic and non-kinetic threats is a major concern for projectors, as combat versions only have limited protection from kinetic threats. But, at least, non-kinetic countermeasures (electronic warfare), although affecting the completion of the mission, will not necessarily end in the loss of the system, which can be recovered and repaired. Presented at DSEI 2015 by the Estonian company Milrem, THeMIS (Tracked Hybrid Modular Infantry System) represents an outstanding solution in terms of modularity. The system has a 750 kg payload. The most advanced version features hybrid propulsion based on a lead-acid AGM battery pack and a 12Kw diesel generator. In this configuration, THeMIS can perform 8–10 hour missions at a speed of 24 km/h. THeMIS can be equipped with small and large calibre weapons, Explosive Ordnance Disposal devices and a number of sensors. Furthermore, a plug and play system provides the user with the opportunity to easily change payloads. THeMIS is currently available in four versions: In conjunction with Singapore Technologies Kinetics, Milrem is working on a weaponised UGV with an ADDER remote weapon station; with Raytheon UK it is working on a C-IED solution; and with QinetiQ North America, a smart transport platform for carrying squad gear. On the commercial side, Milrem is working with Leica Geosystems. This unit features Milrem's UGV with a 3D mapping device, Pegasus Two. THeMIS customisation concerns sensors, control systems and payloads. “If you can imagine a solution that needs to be unmanned, we can mount it on our UGV,” says Gert Hankewitz, Milrem’s head of sale and marketing. MILREM recognises the twofold role UGVs will play in the future battlefield, especially in terms of decreasing risks for soldiers. “Thanks to UGVs we can send fewer soldiers to the front and keep the soldiers who are there safe by providing fire support, evacuating them if they are injured and providing an overview of the surroundings with different sensors,” says Hankewitz. “Our main mission for the future is to make UGVs as autonomous as possible so that the soldier can concentrate on his/her mission and the UGV will seamlessly support them when needed.” The transport configuration of the THeMIS has already been tested by Estonian Armed Forces in 2016 during the Kevadtorm exercise. Furthermore, in November 2016 the THeMIS ADDER passed its first live fire test under the Estonian Defence Forces' supervision. The French ECA Group has being involved in the design, production, delivery and support of many UGV programmes since the 1990s. According to Riccardo Caponi, sales manager, ECA Group, amongst the most important programs are the “MiniRogen” for the Cobra MK2 UGV for the French Army, the procurement of Cobra MK2 UGV by Canada, and the procurement of the Cameleon UGV by the French police. The Cameleon has also been used in exercises by the French Air Force's NEDEX group (Neutralisation, Removal and Destruction of Explosives) and the UNIFIL mission, Lebanon. Field-proven reliability, adaptation to customers’ needs and intuitive remote control/autonomous capabilities are ECA’s main strengths. “ECA is able to integrate different robots together in order to perform hazardous and complicated tasks,” explains Caponi. “We call such system a system of robots.” ECA’s UGVs are designed to accomplish three main missions: reconnaissance and surveillance (MiniRogen Cobra MK2); CBRN missions; EOD/IEDD (this mission consists of disposal, neutralisation of explosive ordinance, but in particular the UGVs are the ideal systems for immediate assessment of bags or any other object suspected to be an IED. Depending on its configuration, each UGV produced by ECA can perform any of the mentioned missions: Cobra MK2 I is for inspection/reconnaissance, Cobra MK2 E is for EOD and Cobra MK2 C is for CBRN missions. 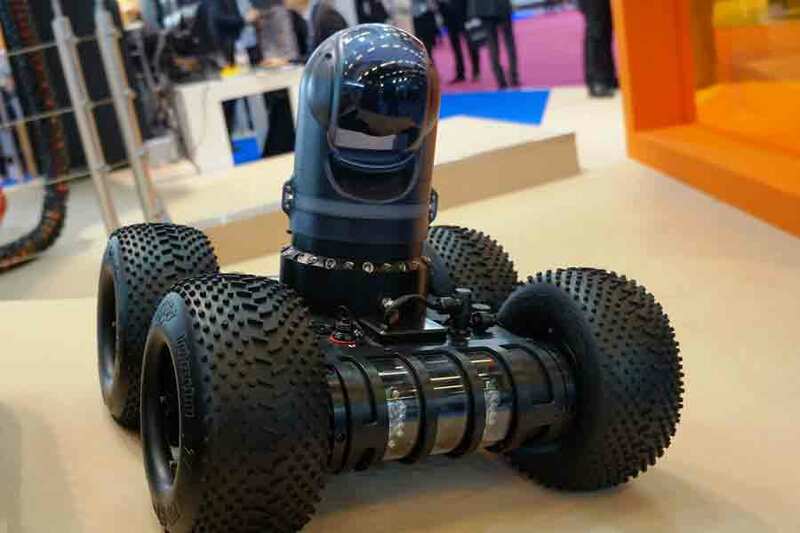 ECA’s UGVs can be classified into three 'size' categories: the Cobra MK2 (mini, 200 metres range), the Cameleon (light-weight) and the Iguana (medium size). All the systems are man portable, quickly deployable and can be operated from military vehicles or dismounted soldiers. Moreover, ECA’s systems are collaborative, meaning that a unique command and control unit can simultaneously operate up to four UGVs. Depending on the size and the assigned task, each UGV can be equipped with a large range of payloads, including disruptors, cameras, sensors. Mission modules are plug and play, so the customer can configure the system immediately before each mission and according to its specific needs. “We can adapt any disruptor, any sensor, as well as the control console and software to any particular customer need,” says Caponi. Analysing the strengths, weaknesses and potential uses of UGVs, it is possible to identify future trends for their development, namely modularity, integration and broadening of operational uses. Modularity already represents one of UGVs' main strengths, allowing deployability for multiple tasks without interfering with the operational tempo. To date, the THeMIS system may be the only example of how modularity can prove efficient on the battlefield. Moreover, additional interaction/communication capabilities among UGVs would prove especially effective on the battlefield, as a group of systems could conduct a whole mission without any manned and/or human support. As far as they will be able to replace manned assets and troops, UGVs are and will be increasingly recognised as relevant force multipliers. Opportunities for further enhancement of their role on the battlefield will inherit autonomy and deployability for combat operations. As already mentioned, UGVs can substitute troops in a number of hazardous missions. To have fully autonomous systems in the battlefield has the potential to end in a total substitution of soldiers for whole missions, as the UGV will not need an operator, and will perform pre-planned tasks autonomously. This will further reduce risks for personnel involved in the missions. However, using UGVs in this way could mean it is difficult to suddenly reshape an ongoing operation to follow eventual environmental changes, for example, a mistaken target identification. Some tactical, combat UGVs are already available, such as the Leonardo-Finmeccanica TRP2 Combat, which features a light machine gun and grenade launcher. 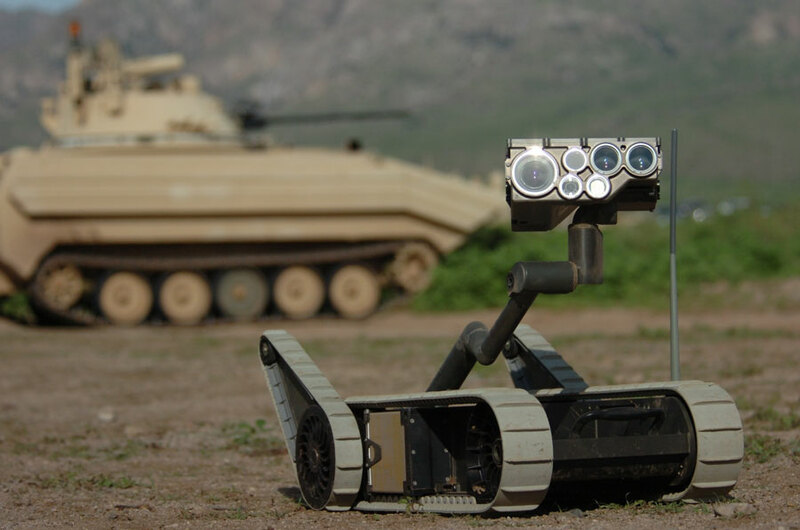 The new era of combat UGVs is likely to be combat reconnaissance on the battlefield and fire support. For instance, Russia recently unveiled its unmanned combat ground vehicle, Vikhr. The vehicle is equipped with a stabilised 30 mm Shipunov 2A72 automatic cannon, a coaxial 7.62 mm Kalashnikov PKT/PKTM, and six ready-to-launch AT-14 Spriggan anti-tank guided missiles, but it is also possible to integrate other artillery systems. 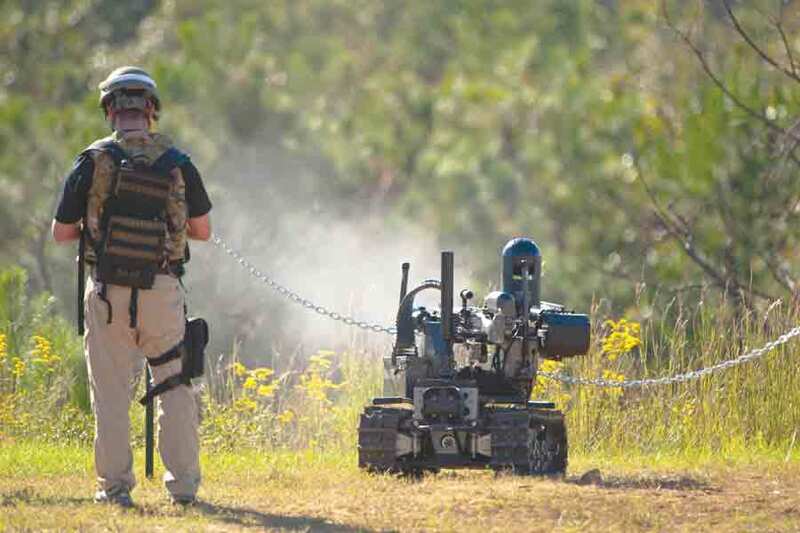 Current trends about UGVs follow the broader narrative of increasing numbers of unmanned systems in today’s and future battlefields. The most advanced solutions are just a preview of the capabilities to come, as the sector is expanding quickly. The focus placed by companies on innovation and R&D underlines that even the most advanced systems will evolve further or be replaced by a new generation of systems. Giulia Tilenni is a junior analyst in defence and security affairs and editorial coordinator of the European affairs desk at Il Caffè Geopolitico, an online journal of international politics. She provides analysis on UAVs, military intelligence and EU defence issues.